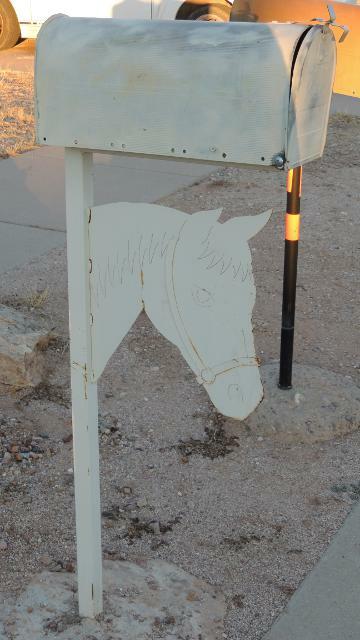 This white mailbox, with the silhouette of a horse's head, is on a house without an address (as far as I could tell). Unfortunately, the geotag embedded in the photo seems to be wrong, too! My notes say that the house is two houses west of South Curtis Avenue on East 27th Street. If you find it before I do, please leave a comment below or send me an email message. I was there on January 2nd.